A couple of weeks ago I had a "working mum" moment.... Had to urgently reply to a few clients' emails and deal with some problems, while driving around Lamai with my 3 year old son. Obviously I couldn't do any work with him being next to me, so I had to look for a quick solution, trying to find a place with WI-FI and babycare. 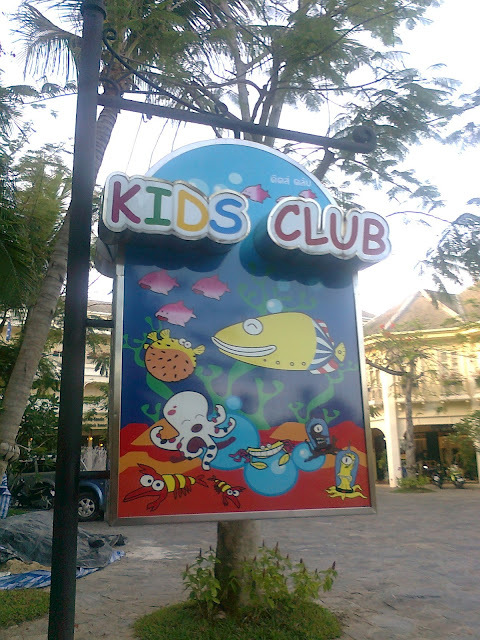 The solution suddenly came in the shape of a beautiful kids club in Buddy Resort in northern Lamai, and Coffee World cafe with free WI-FI literally next door to it. I was surprised to see that he didn't even say a word, just went there, said "bye mum" and started to play. So, I was working for about two hours, and then came to pick him up, and he didn't even want to leave. There were 2 other kids there, so they played together. Of course I didn't have any camera with me, just my crapy mobile phone, so pardon me for the quality of the pictures, but I just wanted to share them with you guys, in case someone needs a day time babycare in Lamai area - this place is just great. 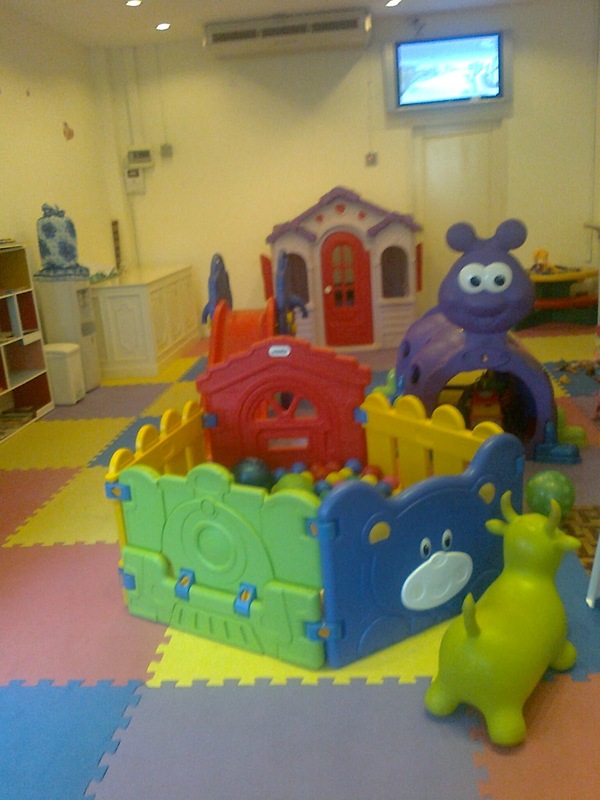 For 200 THB/hour they look after your kids, and normally it's not very busy, so kids get really personal attention. The girl who looks after them, is watching them for the whole time, and when they run out of ideas she would just play with them, paint, draw, make some toys, etc...She would take your tel. number in case a kid wants mummy back, but she wouldn't bother you if she can sort out the problem herself. There is a large sofa inside the club room, sort of a waiting area, in case you want to stay there with your kid, but honestly - do yourself a favour, go across the road to The Spa resort for an amazing lunch or/and massage and have a few minutes to yourself. So, I was really happy with this place and can highly recommend it to you. P.S. The resort also has some turtles by the beach, so after the club time you can cross the road, and go and feed the turtles. Your kid would love it!